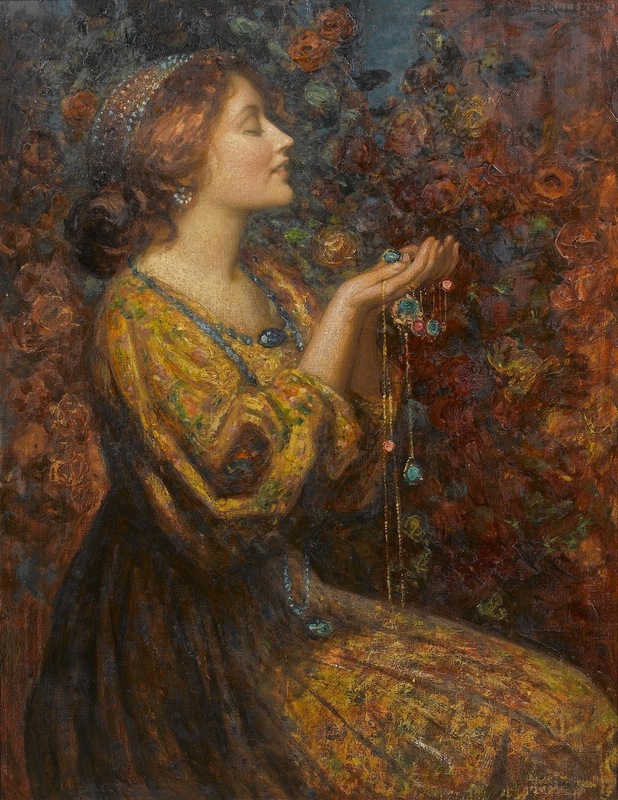 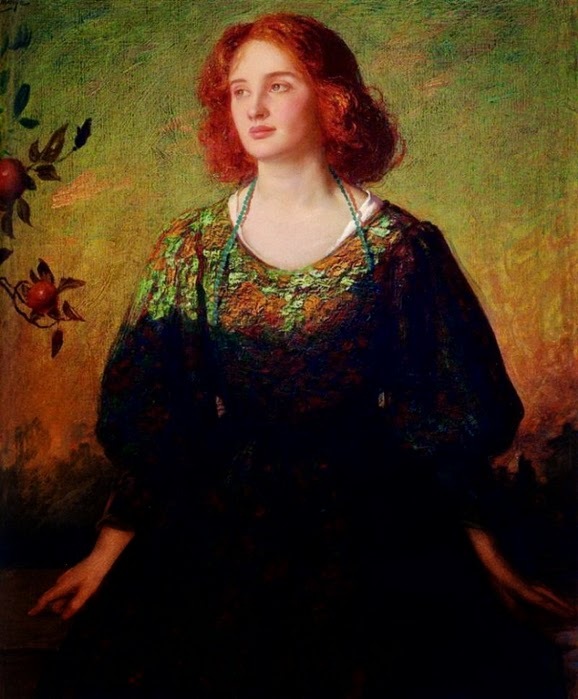 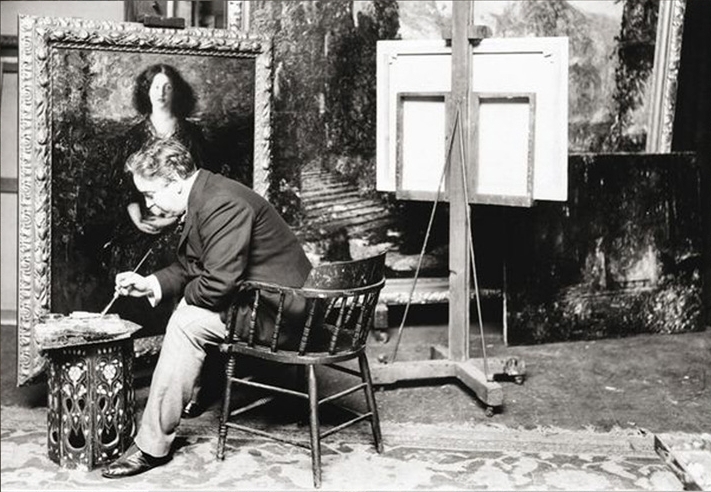 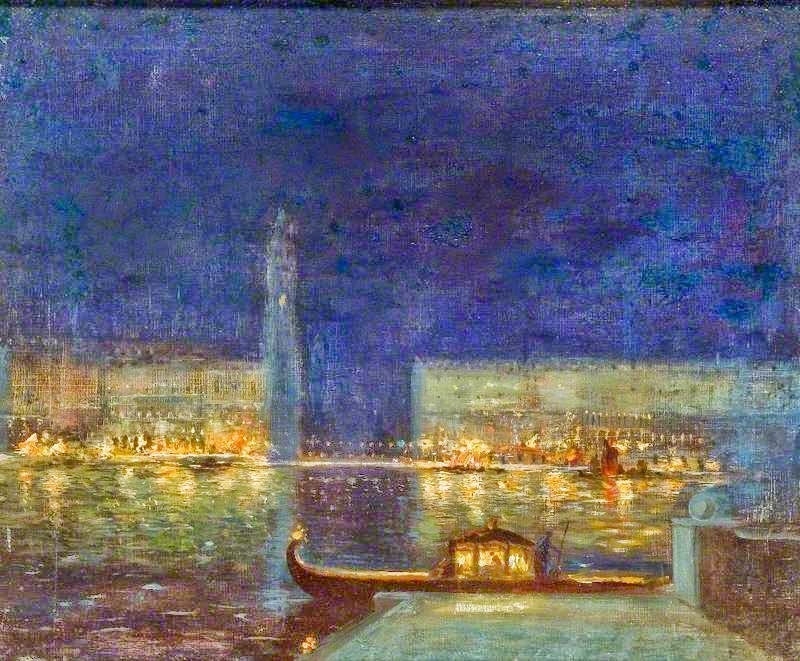 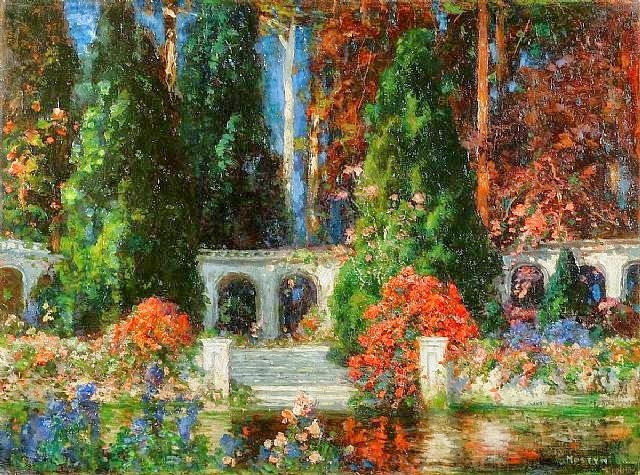 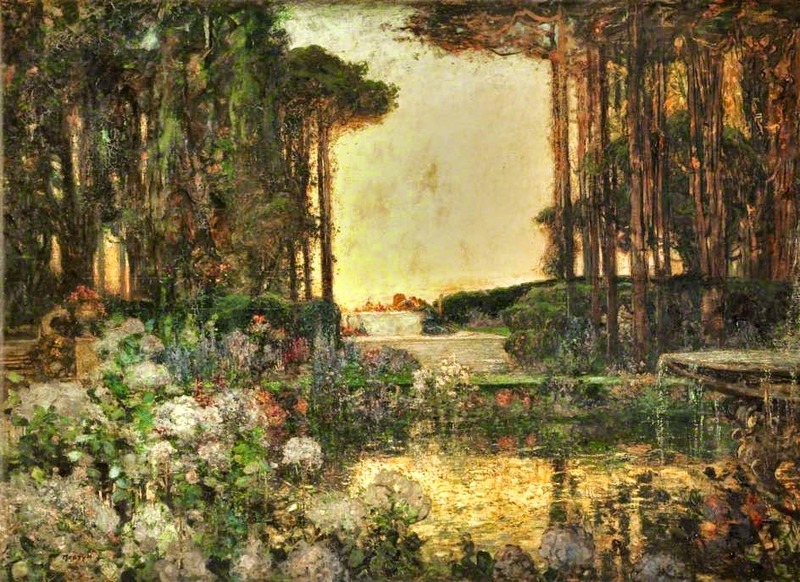 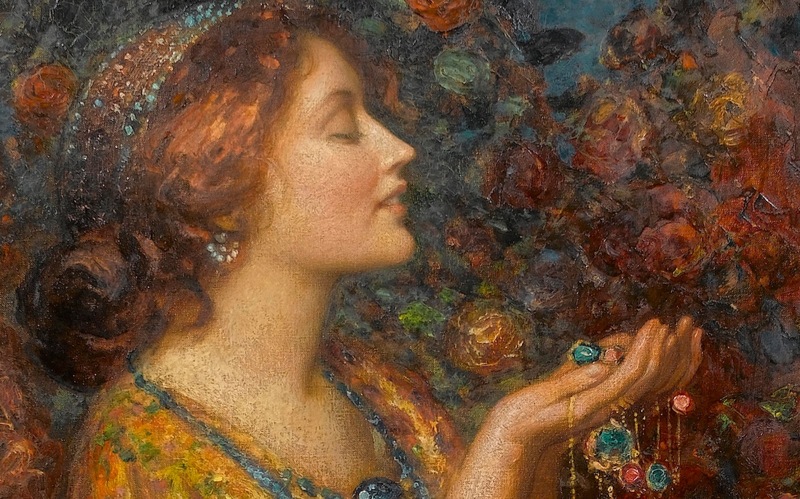 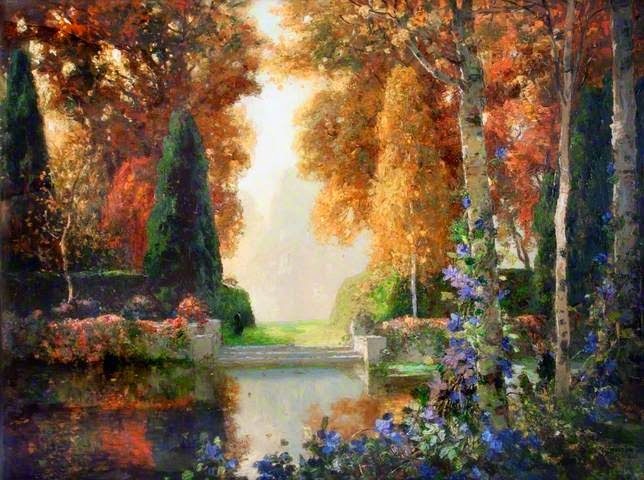 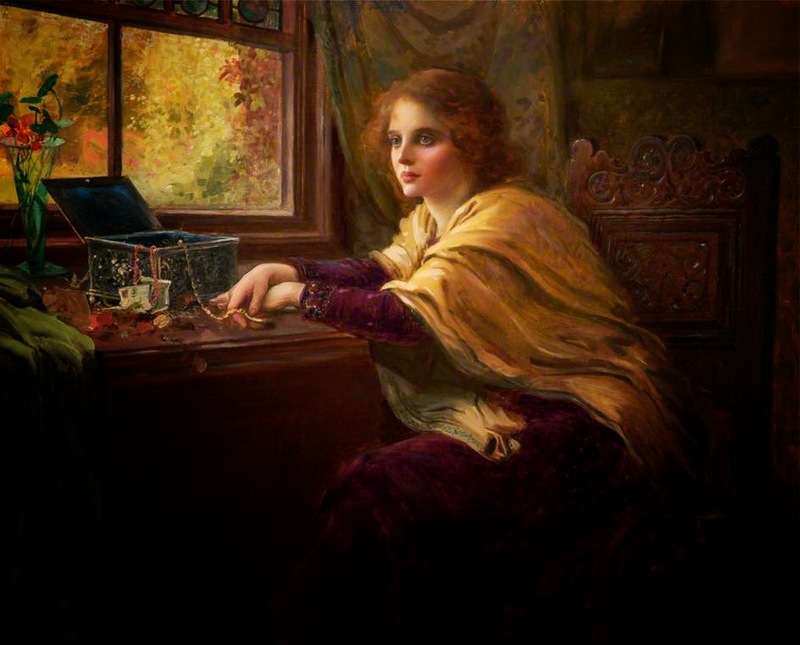 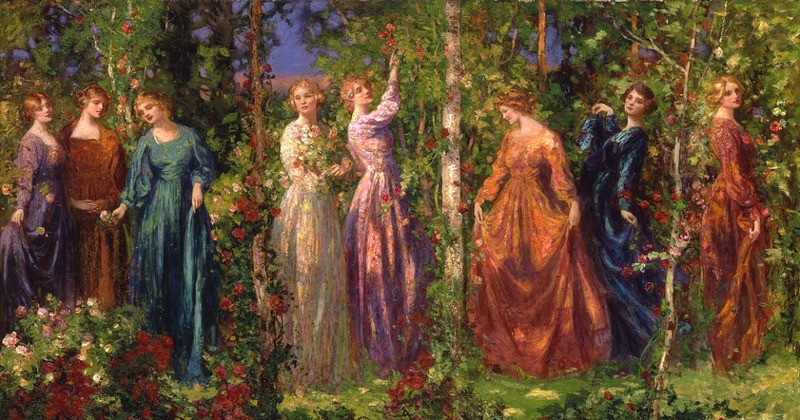 Born in Liverpool in 1864 and raised in Manchester, Tom Edwin Mostyn R.O.I., R.W.A., R.C.A., the son of the artist Edwin Mostyn, studied at the Manchester Academy of Fine Arts. 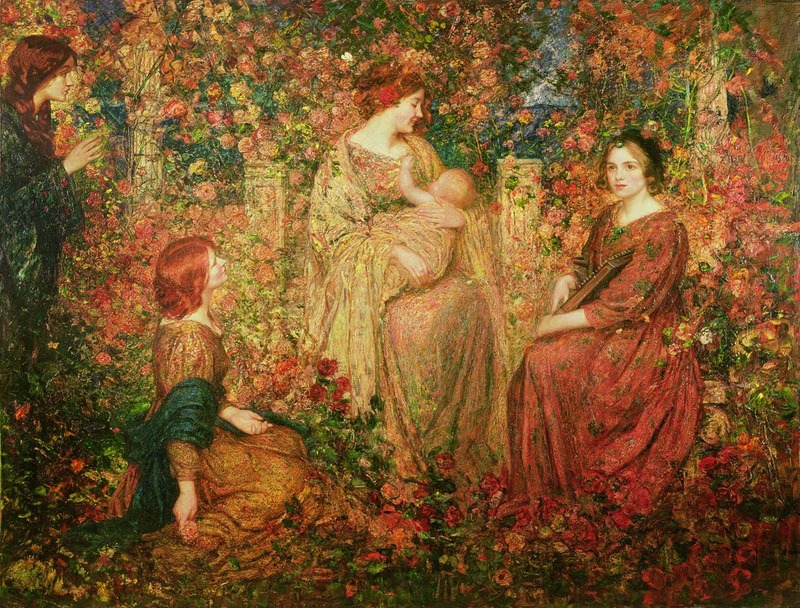 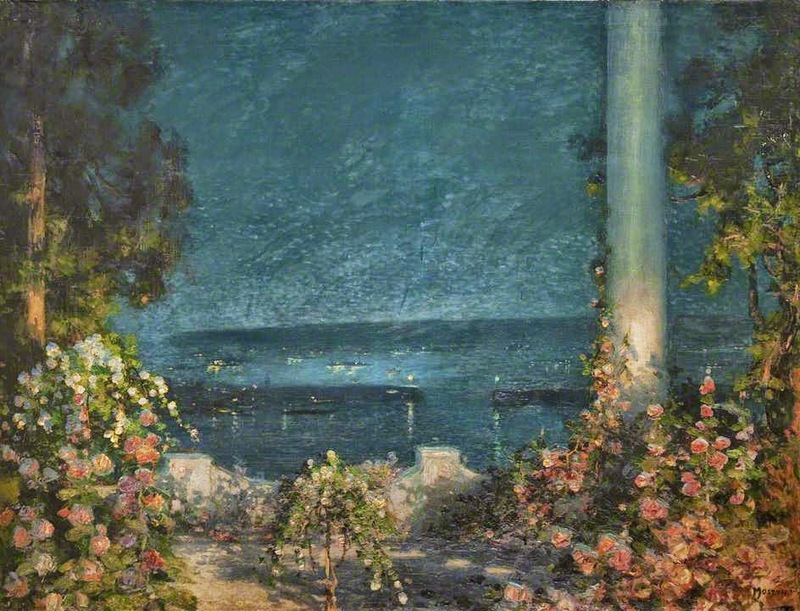 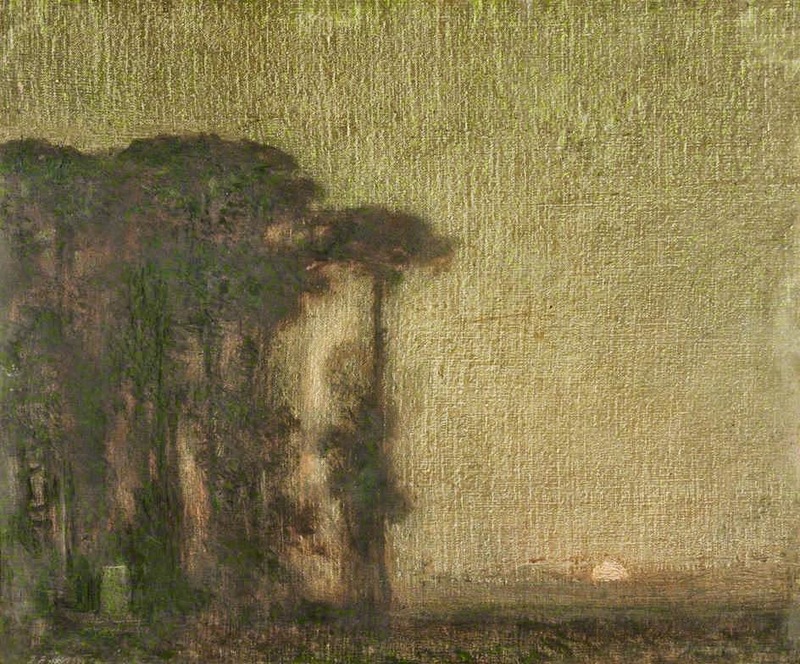 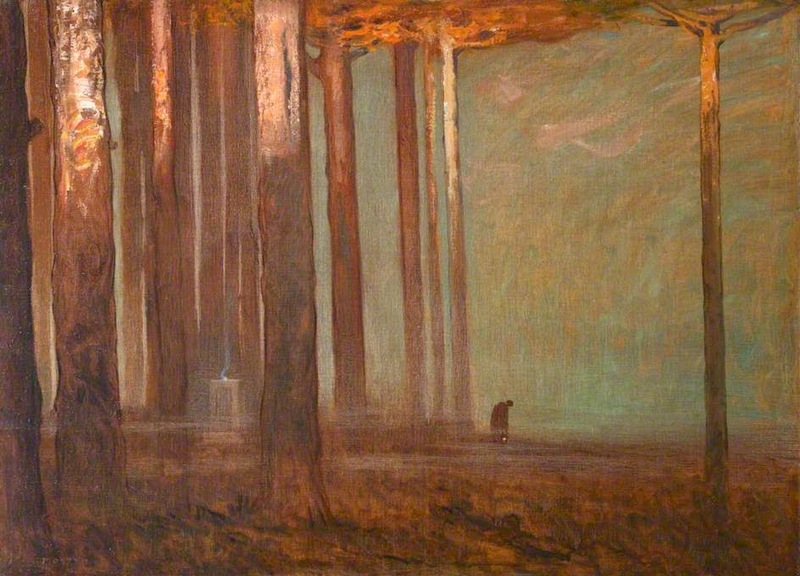 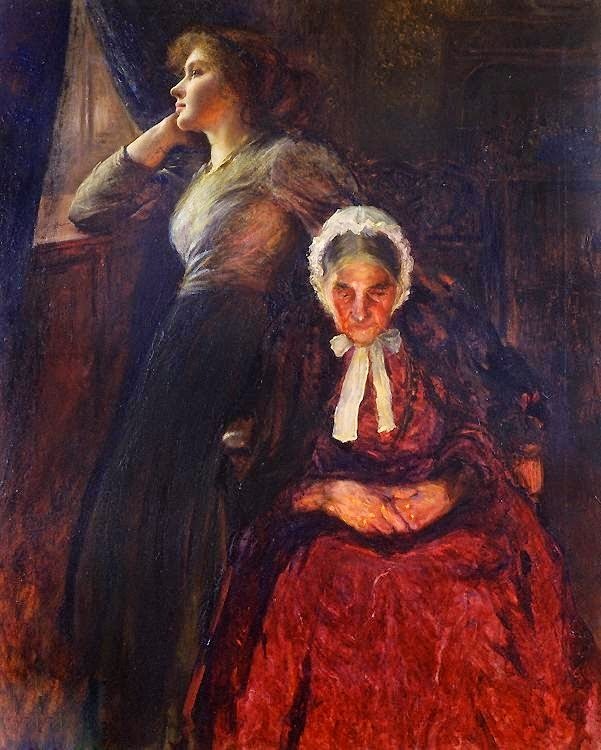 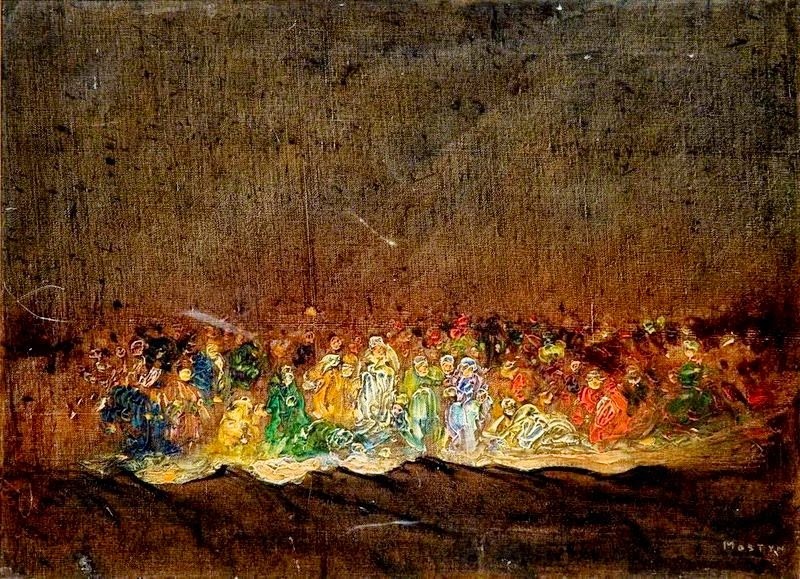 He had his first local exhibition in 1880, and was showing at the Royal Academy (R.A.) by the age of 29. 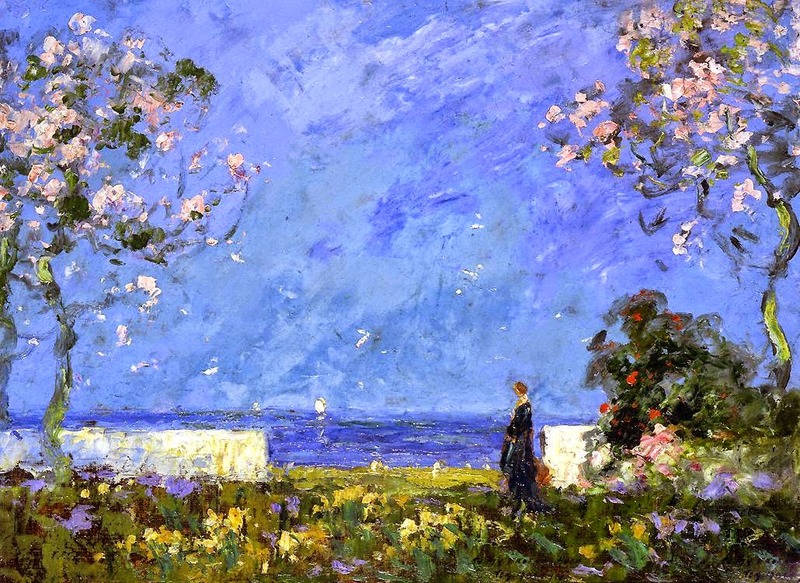 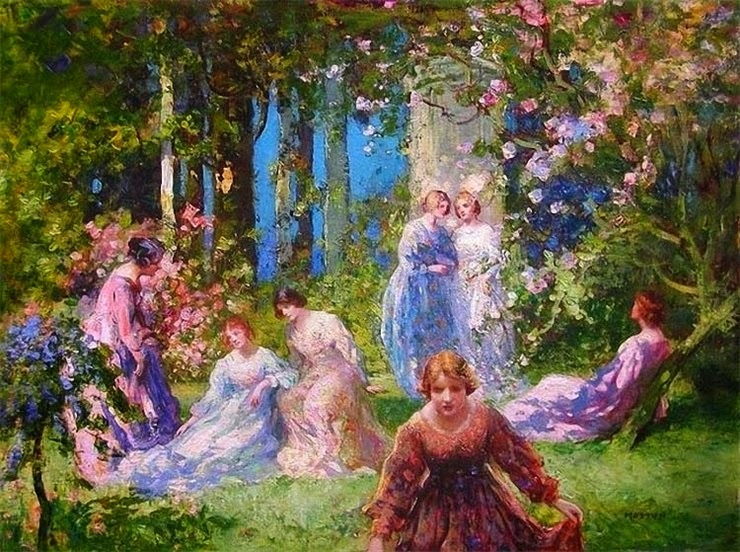 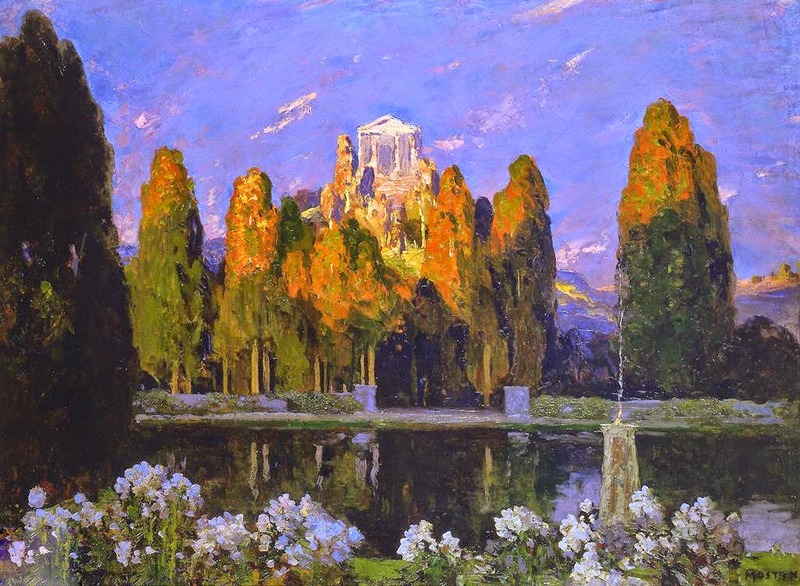 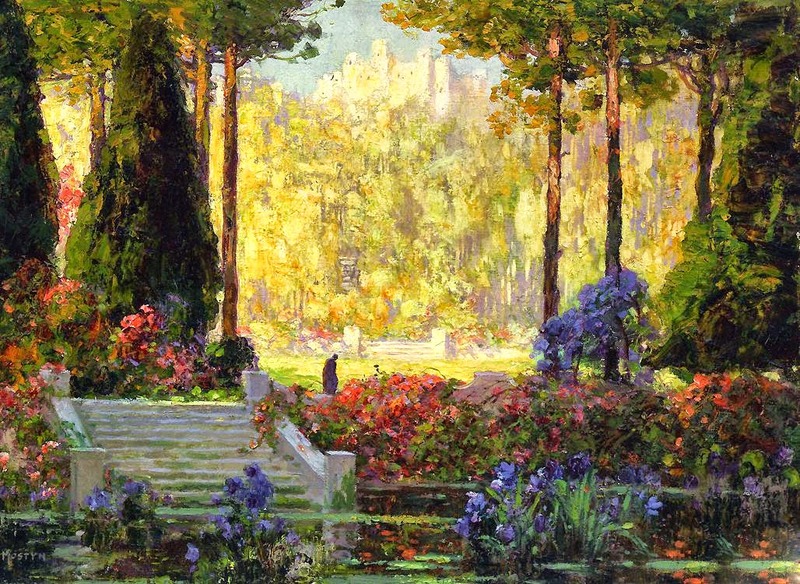 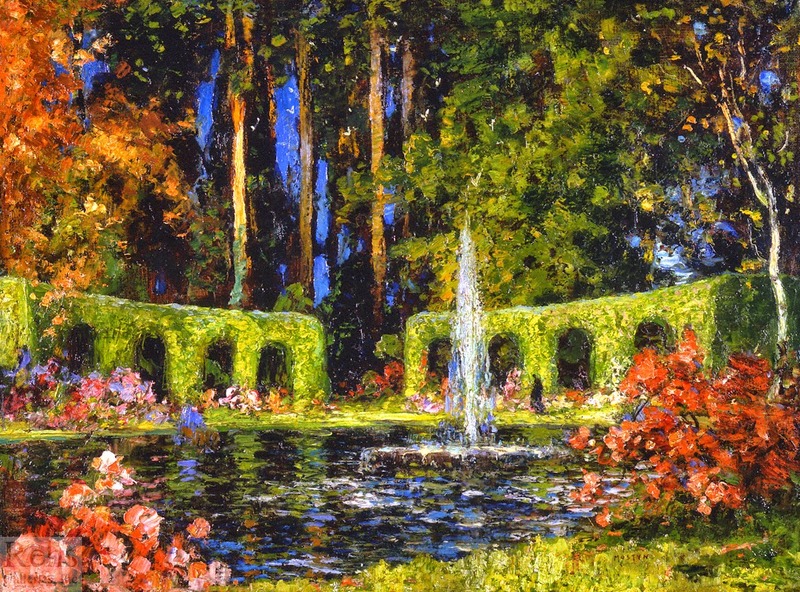 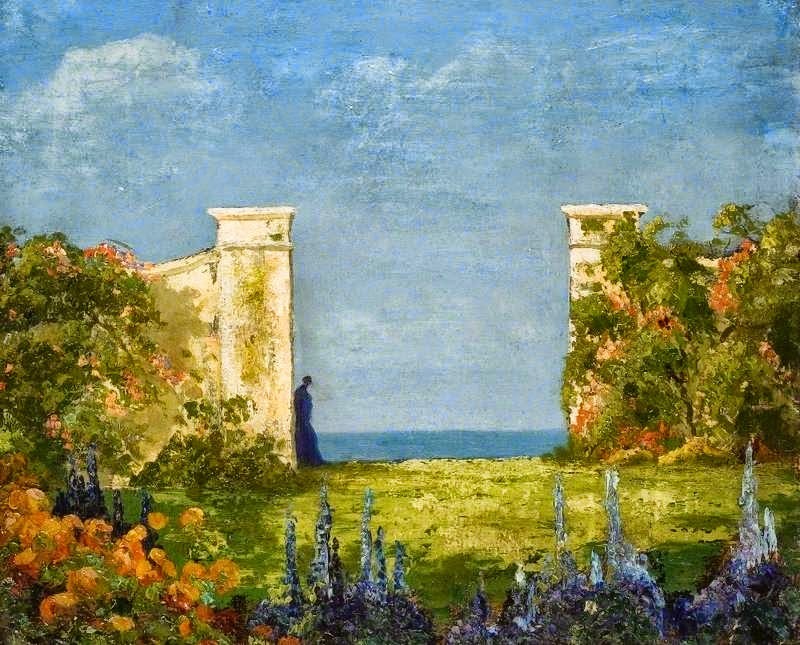 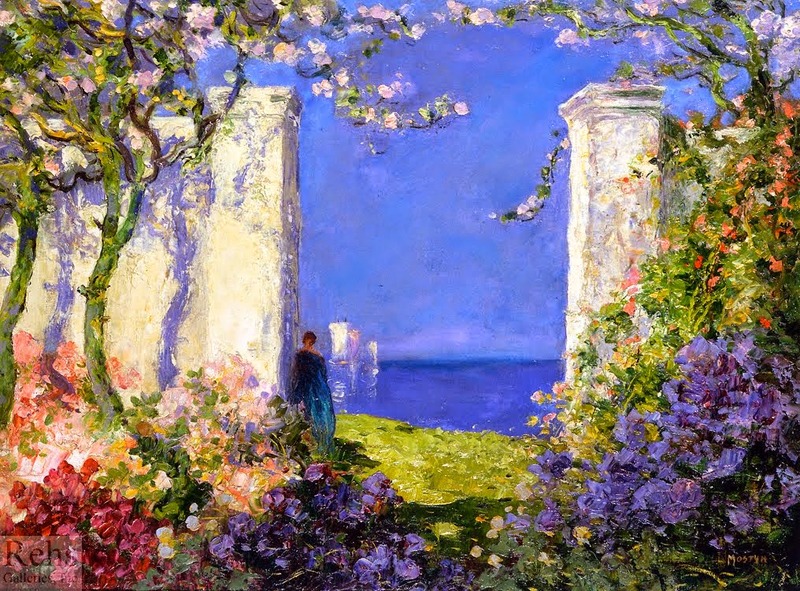 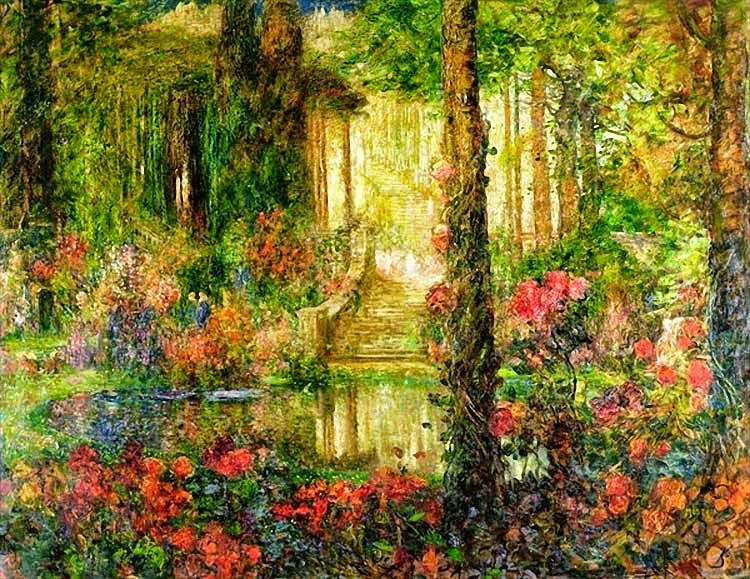 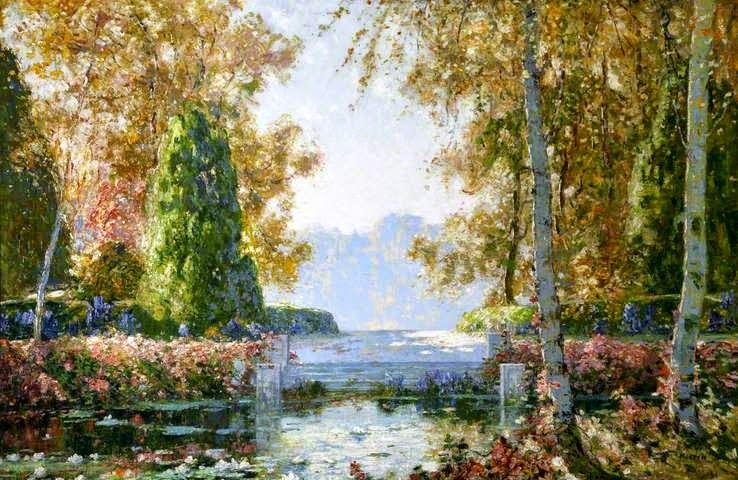 He is mainly recognized for his romantic garden scenes, although his style was so eclectic throughout his career that it is hard to believe that the same artist created all of his paintings.